Atlanta, Georgia. 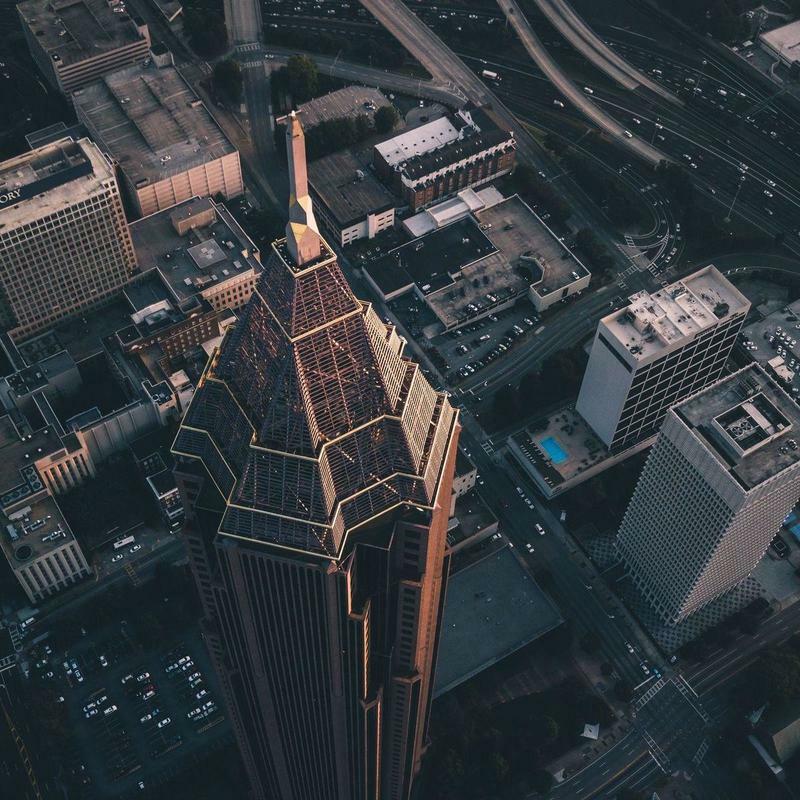 Some call it the Gate City to the South, but any local will tell you that Atlanta is more than just an intro to Southern hospitality. A bus tour of Atlanta will take you to some of the most important sites in civil rights history, including Ebenezer Baptist Church, Oakland Cemetery, and the home of the Martin Luther King Jr. Rent a fully-equipped, air-conditioned coach bus or a vintage Atlanta school bus for your next trip. 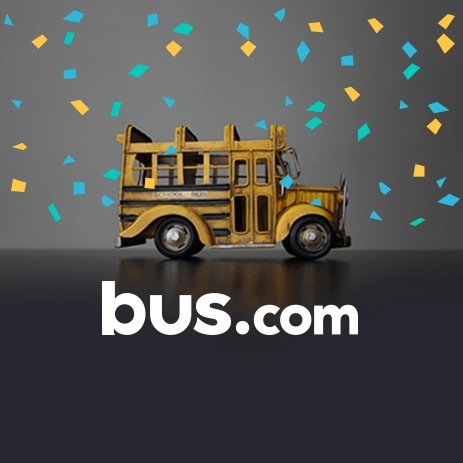 Bus.com will help you sift through all the Georgia bus companies to find your ideal bus. Start by requesting a quote with our online booking tool. Getting to Atlanta from nearby cities. We run many bus trips to Atlanta from cities near and far! Here are some starting hourly rates for coach bus rentals and school bus rentals for each trip. For a more accurate pricing for your bus rental in Atlanta, you can charter a bus through our instant quoting tool. When you put your company’s transportation in Bus.com’s hands, you can be sure those hands are the most capable. Not only do we know all the best routes to popular work spaces and corporate retreats, we treat your employees like the rockstars they are. Whether you need the luxury of a coach bus or the bonding nostalgia of a school bus, we’ll help you book the best charter bus rental in Atlanta. Large companies with multiple departments can struggle with creating a company wide bond. Corporate retreats and team outings are the perfect way to get everyone from accounting to HR together. Rent a school bus and enjoy its nostalgic vibe as you transport your team to an interactive activity. We recommend a problem-solving game like Mission Escape Atlanta or an active adventure like Power Ops Paintball. Break up the day and wake up your colleagues with an off-site meeting. Charter a bus to get your employees to a new location like any of the Roam spaces. Roam, an Atlanta-based co-working company, has multiple venues for different types and sizes of groups. Rent a coach bus and request wifi, so that you can stay connected with headquarters while you’re on the road. We don’t need to tell you that conferences and trade shows are excellent opportunities for networking. Arrive as a group in an Atlanta charter bus rental and avoid having to coordinate multiple cars and parking. If you’re traveling longer than three hours or bringing along luggage or equipment, charter a coach bus for extra comfort and space. Traveling long distance for business? Save on multiple taxis by booking a bus. Have an Atlanta coach bus rental pick you up at Hartsfield-Jackson airport and take you to your hotel. If you have to transfer hotels to go to another conference, a charter bus can take you and all your luggage straight to your destination. Organize a whole season’s transportation through Bus.com and streamline the process with our online booking tool. We’ve built strong relationships with Atlanta bus rental companies, so we can pair you with a school bus or coach bus rental to get your team where it needs to be. The logistics of planning transportation for a sports team is a nightmare. We get that. 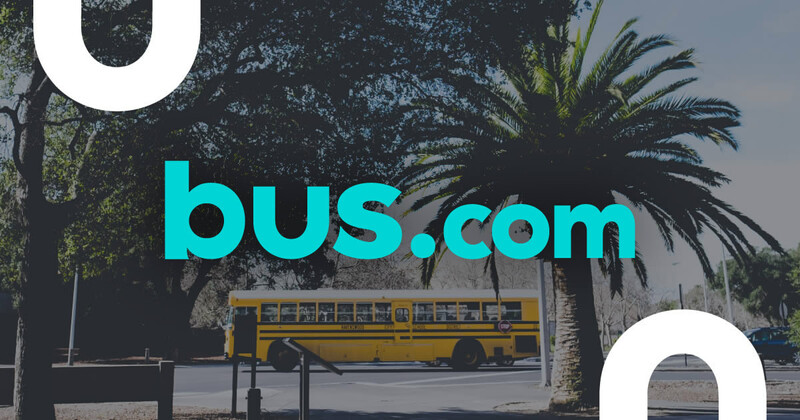 With Bus.com, we take care of those messy logistics, providing coaches with an easy way to assess their bus rental costs and modify their itineraries to accommodate away-games. When selecting the bus for your trip, you’ll need to consider the distance you will travel and the amount of equipment your team transports. Depending on the size of your team, a school bus rental may not fit all those massive duffle bags. The coach bus is usually the best bus rental for sports teams, though the school bus can handle short trips. Whatever your needs may be, we’ll find the Atlanta charter bus that suits your trip. For away-games or out-of-town tournaments, you’ll need to consider luggage space and the length of time you’ll be on the road. A coach bus rental has space beneath the bus for whatever equipment you need to transport. They are also equipped with extra amenities to make trips of longer than three hours comfortable. Use our Book Now, Pay Later policy to reserve a bus early at the best rate. You’re under no obligation to pay until 21 days before you leave. This allows coaches to plan transport for your entire season. If your team is spread out across the city, our booking specialists can help you organize your own tailor-made bus route. Keep everyone together on a school bus and foster team spirit on the way to those early morning practices. Flying into Atlanta for an away-game? Have a coach bus rental pick you up at the Hartsfield-Jackson airport and transport your athletes and their equipment to the hotel. Should you need to transfer hotels for any reason, use an Atlanta bus rental instead of 10-15 taxis. Whether you’re a coach looking for team inspiration or a big group of die-hard fans, an Atlanta bus rental is an easy and budget-friendly way of getting everyone to a Falcons, Craves, or Hawks game. Most sports facilities—from the Mercedes-Benz Stadium to SunTrust Park—have comprehensive plans for tailgating and bus parking. Transport your guests and bridal party safely and efficiently with an Atlanta bus rental chartered through Bus.com. From flowers to that special something blue, there’s a lot for a bride to consider. We’ll take care of the transportation so brides can enjoy their special day without worrying about logistics. When seating charts, hiring a band, trying on dresses, and tasting cakes is on the agenda, renting a bus can fall to the wayside. Thankfully, Bus.com makes chartering a bus in Atlanta easy. Whether you’re putting together a bachelor party or shuttling guests from ceremony to reception, we’ll match you with the perfect bus rental. Weddings are so much more than a simple ceremony and reception. There’s the bachelor/bachelorette party, the engagement party, the rehearsal dinner, the off-site wedding photographs, and the bridal party’s trip to the spa. With all these events, you’ll need transportation that you can rely on. Bus.com will help you organize your wedding weekend itinerary. A marriage is the perfect opportunity to invite friends and family from out of town to show off your city. Charter an Atlanta bus rental to shuttle your guests from Hartsfield-Jackson International Airport to their hotel. Rent a school bus to take your guests from the ceremony to the reception. Our booking specialists will help organize shuttle bus services for weddings and all the surrounding events. Step outside the usual bar scene bachelor or bachelorette party, and arrange a unique event for the bride or groom. Charter a party bus rental in Atlanta to take the wedding party on a brewery tour of the city’s best taprooms. We recommend Monday Night Brewing and SweetWater Brewery. Perhaps a comedy club or fine dining supper is more your style. Whatever your itinerary, a charter bus rental will keep you safe as you toast the marriage of your best friend. Celebrate the bride at the refined Swan Coach House and treat her to a morning at the spa. Organize a luncheon, brunch, or evening toast to the star of the matrimonial show. There are so many ways to honor the blushing beauty before her special day. Charter a minibus to transport your guests from the hotel to the venue. You can even decorate your bus rental with flowers and streamers to give it the feminine touch that makes bridal showers so much fun. The engagement party is the event that begins the entire celebration. It occurs early in the wedding planning process and is a wonderful opportunity for the couple’s family to rejoice the upcoming nuptials. It’s becoming more common for families to show off a little and rent a venue like the elegant rooftop of the Peach Tree Club. Add that extra special touch by having an Atlanta bus rental transport your guests from their homes or hotels to the venue. This will avoid parking frustrations.